The coddie is a purely Baltimore tradition. Go outside of the city and talk about coddies and you'll get sideways looks from people who ask if you mean cod cakes. 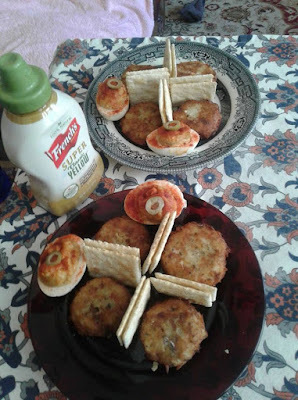 Nope, cod cakes are a different animal entirely. Coddies were once to be found everywhere in Baltimore and it's environs and although the customer base has shrunk over the years, they are still to be found at places like Faidley's Seafood, Pappas Crab House and other venerable Baltimore eateries. The history of the coddie is slightly muddied but most everyone will say that they were invented by the Cohen family in the early 1900's as a new item that would give their sandwich stand in the old Belair Market an edge over the competition. This was certainly successful as they soon became the first to open a coddie factory and Cohen Deli trucks could be seen delivering coddies all over Baltimore. I wasn't introduced to these until I was in high school as this was far too pedestrian of fare for my mother and grandmother. In high school my friends and I started hanging at a place called Blue Jay Cue Club on Baltimore National Pike. This is where I learned to shoot pool and there was always a few semi pros hanging around that would be more than happy to teach us how to make trick shots. Unlike many pool halls today, Blue Jay was no frills and didn't serve food or alcohol however, they did have soda and coddies. The first time I tried a coddie sandwiched with mustard between 2 saltines I was sold and every time I went there I bought some coddies until they finally closed down in the early 2000's. 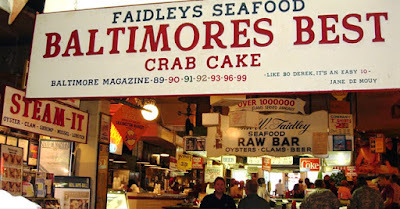 I then had to go to Lexington Market to get my coddie fix at Faidley's Seafood with a side of deviled eggs. Over the years I didn't give much thought to these until after being away from Baltimore for many years I started to grow nostalgic over the what could only be found there. This recipe is fairly simple and the finished mix can be frozen and thawed out later for frying. If you're going to freeze the excess then I recommend rolling the cakes in bread or cracker crumbs before frying. Serve with saltines and cheap yellow mustard, to eat simply make a sandwich with a coddie and 2 saltines with a dab of mustard. The original recipe was seasoned with just salt and pepper but I decided to add in some of my Chesapeake Bay Red seasoning to give it a bit more flavor. Soak the cod overnight and in the morning check a piece for saltiness. If the salt level is acceptable then simmer cod in water for 8-10 mins otherwise, if it's still too salty then first add to pot of water and bring to boil. Drain immediately then simmer as above. Peel and dice potatoes cooking in water until tender. Mash with 2T milk and set aside to cool. Saute onion in 1T butter until transparent, about 5 mins adding in dried parsley at the end, remove from heat and cool. Flake the cod well then mix together all ingredients. At this point you can freeze some of the mix for later use. Form into 1.5oz or golf ball size balls and flatten slightly, recipe yield is about 16-20 coddies. Fry in 1" very hot oil until browned, turn over and fry the other side. The cakes brown quickly so be sure not to burn them. Serve 4 on a plate with 8 saltines and some mustard on the side.